Lets talk about a high visibility rental! 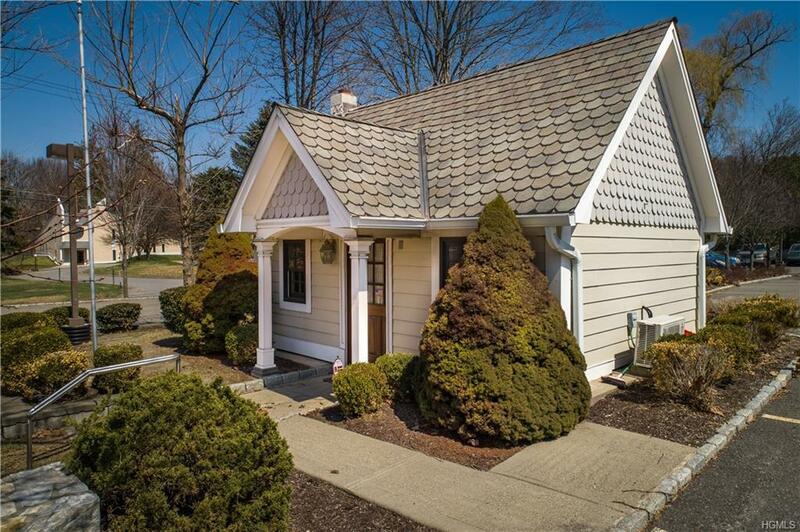 You would be hard pressed to find a more charming rental than this gingerbread cottage sitting pretty on the corner of Route 22 and Pine Drive in the Village of Pawling. 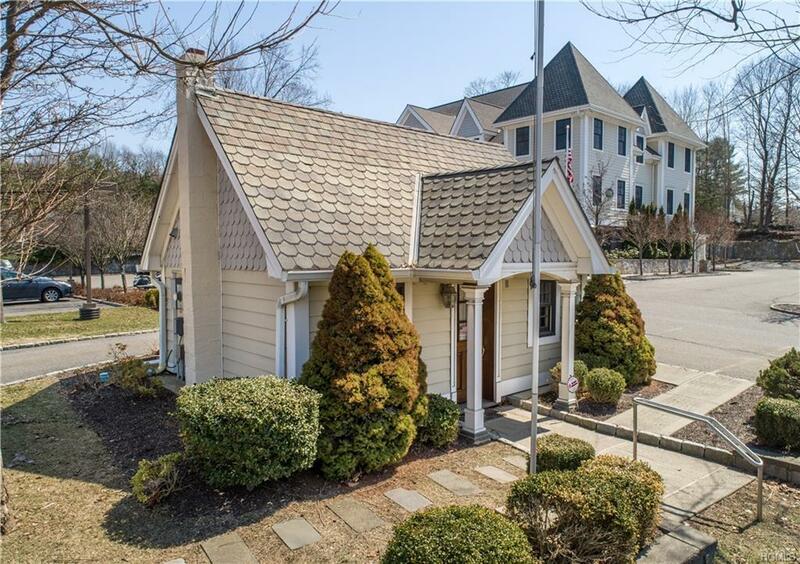 On the grounds of a 3 story commercial plaza, this freestanding 320 SF rental is surrounded by parking with two entrances and a convenient traffic light for easy access onto Route 22. 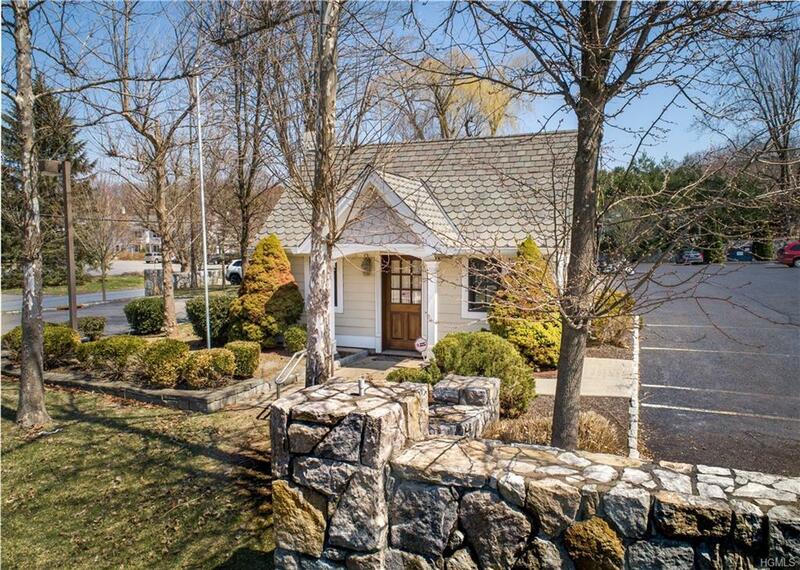 Inside, mahogany paneled walls with custom cabinetry surround the open office space, complete with two desks. The smaller room with sink and vanity could be breakout/kitchen space or an exam room. 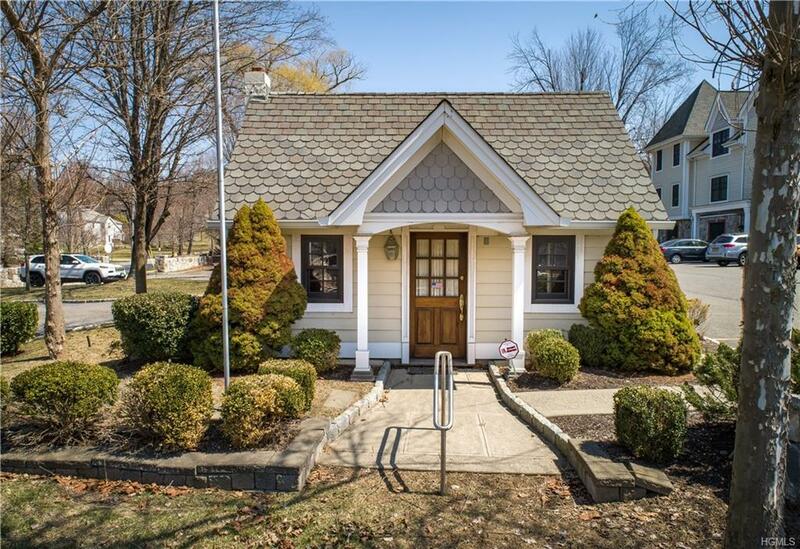 Conveniences include a powder room, air conditioning and cable ready. With a NYS DOT daily traffic count of 4346 vehicles southbound & 4369 northbound, exposure is outstanding for your business. Ready for you to move in and proudly display your businesses sign out front.